Built in tool tray on larger sizes. One handed opening and closing. 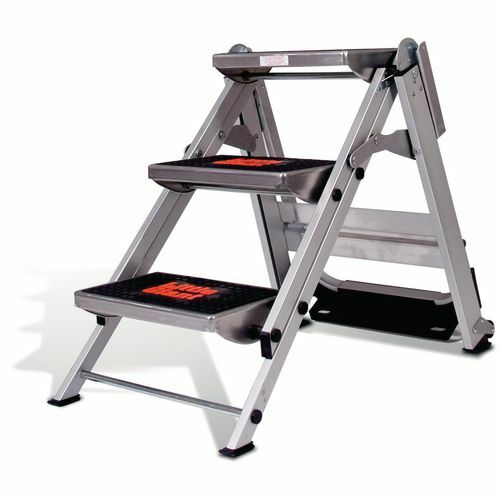 Convenient and easily portable steps are ideal for both work environments and can be useful around the house as well. Our little jumbo safety steps are an ideal addition to help users reach high up areas and help them remain secure. Constructed from robust lightweight aluminium; these steps are easy to transport and they will offer great support to the user. Tip and pull wheels add to the easy manoeuvrability of the steps and the larger sizes have built in tool trays to make tasks more efficient. 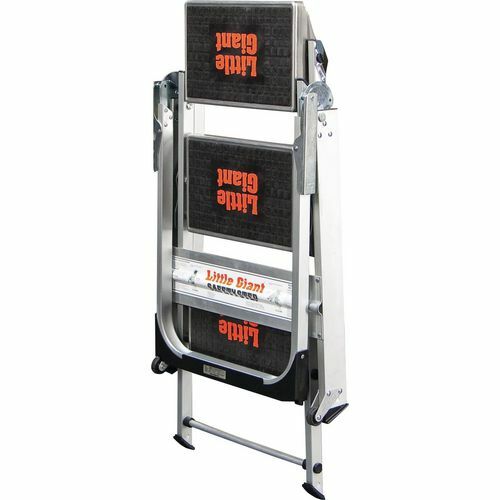 The foldable locking handrail and the slip resistant rubber treads are great safety features to give the user peace of mind. The one handed opening and closing makes them convenient to use while holding another item and they comply with EN14183. These steps are available in three heights; 450mm, 680mm or 910mm. 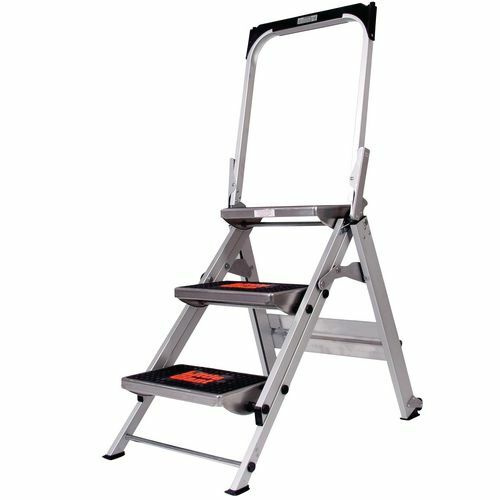 Our little jumbo safety steps are a great addition to a home or the workplace offering a straight forward way to reach high up areas that is easy to transport and use. They come with a 12 month guarantee and FREE UK Delivery.